It is now quite clear that historians will have to grapple with abundance, not scarcity. Several million books have been digitized by Google and the Open Content Alliance in the last two years, with millions more on the way shortly; the Library of Congress has scanned and made available online millions of images and documents from its collection; ProQuest has digitized millions of pages of newspapers, and nearly every day we are confronted with a new digital historical resource of almost unimaginable size (JAH 2008). Whilst some decry the loss of the skills and techniques of older research traditions which relied heavily on close reading, others have warmly embraced what has come to be called the digital humanities, and has been strongly associated with the use of computational methods to assist the humanities scholar (Schreibman et al 2008; Schnapp and Presner 2009; Presner 2010; Hayles 2011). The first wave of digital humanities work was quantitative, mobilizing the search and retrieval powers of the database, automating corpus linguistics, stacking hypercards into critical arrays. The second wave is qualitative, interpretive, experiential, emotive, generative in character. It harnesses digital toolkits in the service of the Humanities’ core methodological strengths: attention to complexity, medium specificity, historical context, analytical depth, critique and interpretation (Schnapp and Presner 2009, original emphasis). the first wave of Digital Humanities scholarship in the late 1990s and early 2000s tended to focus on large-scale digitization projects and the establishment of technological infrastructure, [while] the current second wave of Digital Humanities—what can be called “Digital Humanities 2.0”—is deeply generative, creating the environments and tools for producing, curating, and interacting with knowledge that is “born digital” and lives in various digital contexts. 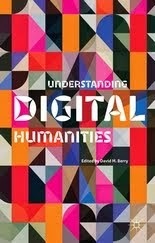 While the first wave of Digital Humanities concentrated, perhaps somewhat narrowly, on text analysis (such as classification systems, mark-up, text encoding, and scholarly editing) within established disciplines, Digital Humanities 2.0 introduces entirely new disciplinary paradigms, convergent fields, hybrid methodologies, and even new publication models that are often not derived from or limited to print culture (Presner 2010: 6). The question of quite how the digital humanities undertake their research, and whether the notions of first and second wave digital humanities captures the current state of different working practices and methods in the digital humanities remains contested. However these can be useful analytical concepts for thinking through the changes in digital humanities. 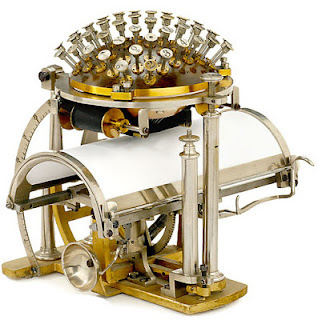 We might, however, observe the following, first-wave digital humanities was the building of infrastructure in the studying of humanities texts through digital repositories, text markup, etc. Whereas second-wave digital humanities expands the notional limits of the archive to include digital works and so bring to bear the humanities own methodological toolkits to look at born digital materials, such as electronic literature (e-lit), interactive fiction (IF), web-based artefacts, and so forth. In the digital humanities, cultural criticism–in both its interpretive and advocacy modes–has been noticeably absent by comparison with the mainstream humanities or, even more strikingly, with “new media studies” (populated as the latter is by net critics, tactical media critics, hacktivists, and so on). We digital humanists develop tools, data, metadata, and archives critically; and we have also developed critical positions on the nature of such resources (e.g., disputing whether computational methods are best used for truth-finding or, as Lisa Samuels and Jerome McGann put it, “deformation”). 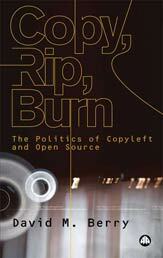 But rarely do we extend the issues involved into the register of society, economics, politics, or culture (Liu 2011). This means that we could further ask the question: what is culture, politics and the economy after it has been ‘softwarized’? (Manovich 2008:41). That is not to say that humanities scholars, digital or otherwise, must be able to code or 'build' (cf. Ramsay 2011). 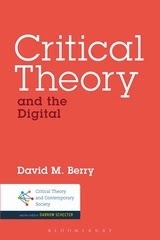 Rather, that understanding the digital is in some sense also connected to understanding of code through study of the medial changes that it affords, that is, a hermeneutics of code (see Clinamen 2011, Sample 2011) or critical approaches to software itself (Manovich 2008, Berry 2011).5 One example, facilitated by software and code, is the emergence of the real-time stream of data, as opposed to the static knowledge objects humanities have traditionally been focussed upon, e.g. books and papers (see Flanders 2009). These include geolocation, real-time databases, Twitter, social media, SMS novels, and countless other processual and rapidly changing digital forms (including, of course, the Internet itself, which is becoming increasingly stream-like). New methods and approaches, such as data visualisation, will be needed to track and understand these new streaming knowledge forms both in terms of pattern and narrative. Of course, there are also many existing humanities approaches that could also provide real value by application to these digital forms (both screenic and non-screenic).7 I also think that this could be a resourceful way of understanding cultural production more generally, for example, digital typesetting transformed the print newspaper industry, and eBook and eInk technologies are likely to do so again (the iPad and Kindle are ultimately devices to access real-time streaming culture). Not to mention how digital streams are infusing society, economics and politics. Therefore, I think that we should be taking the computational turn seriously as a key research question for the humanities (and the social sciences), and it is one that becomes increasingly difficult to avoid. 1 As Moretti 2007) points out, the traditional humanities focuses on a "minimal fraction of the literary field...[a] canon of two hundred novels, for instance, sounds very large for nineteenth-century Britain (and is much larger than the current one), but is still less than one per cent of the novels that were actually published: twenty thousand, thirty, more, no one really knows—and close reading won’t help here, a novel a day every day of the year would take a century or so... And it's not even a matter of time, but of method: a field this large cannot be understood by stitching together separate bits of knowledge about individual cases, because it isn't a sum of individual cases: it's a collective system, that should be grasped as such, as a whole" (Moretti 2007: 3-4). 2 What isn't captured with the notion of 'waves' is the complimentary simultaneity of the approaches. Layers might be a better term. Indeed, layers would indicate that their interaction and inter-relations are crucial to understanding the digital humanities. 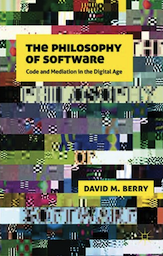 4 If software and code become the condition of possibility for unifying the multiple knowledges now produced in the university, then the ability to think oneself, taught by rote learning of methods, calculation, equations, readings, canons, processes, etc, might become less important. Although there might be less need for an individual ability to perform these mental feats or, perhaps, even recall the entire canon ourselves due to its size and scope, using technical devices, in conjunction with collaborative methods of working and studying, would enable a cognitively supported method instead. The internalisation of particular practices that have been instilled for hundreds of years in children and students would need to be rethought, and in doing so the commonality of thinking qua thinking produced by this pedagogy would also change. It would be a radical decentring in some ways, as the Humboldtian subject filled with culture and a certain notion of rationality, would no longer exist, rather, the computational subject would know where to recall culture as and when it was needed in conjunction with computationally available others, a just-in-time cultural subject, perhaps, to feed into a certain form of connected computationally supported thinking through and visualised presentation. Rather than a method of thinking with eyes and hand, we would have a method of thinking with eyes and screen (Berry 2011). 5 Currently digital humanities and software studies or critical code studies tend to be rather separate, but there is, of course, the potential for exchange of ideas and concepts in terms of their respective theoretical and empirical approaches. 6 A good example of riparian publicity is the use of @mention streams on Twitter. To avoid the speed of a multiply authored follow stream, especially where they might number in the hundreds or thousands of people you follow, instead you might choose to watch the @mention stream instead. This only shows Tweets that directly mention your username, substantially cutting down the amount of information moving past and relying on the social graph, i.e. other people in your network of friends, to filter the data for you. That is, the @mention stream becomes a collectively authored stream of information presented for you to read. 7 See Montfort (2004) where he argues, "When scholars consider electronic literature, the screen is often portrayed as an essential aspect of all creative and communicative computing — a fixture, perhaps even a basis, for new media. The screen is relatively new on the scene, however. Early interaction with computers happened largely on paper: on paper tape, on punchcards, and on print terminals and teletypewriters, with their scroll-like supplies of continuous paper for printing output and input both... By looking back to early new media and examining the role of paper... we can correct the 'screen essentialist' assumption about computing and understand better the materiality of the computer text. While our understanding of 'materiality' may not be limited to the physical substance on which the text appears, that substance is certainly part of a work's material nature, so it makes sense to comment on that substance." (Montfort 2004, emphasis added). Thanks for this illuminating post. When reading your meditation I just could not help feeling that this is what I have been waiting for: putting DH into a "historical" perspective so as to find the path for the next steps. So thanks again for all this. But when stepping back for a moment I started wondering about the metaphors you used to delineate the various aspects of DH, and it just strikes me that both "waves" as succession and "layers" as structure imply hierarchy, which in turn implies superiority or inferiority among the various aspects. I just wonder if this hierarchical representation is intended. Also cannot these three "waves" run next to each other (and not after each other, or above one another)identifying three equally important paths for DH? Thanks again for the thought-provoking and lucid analysis.